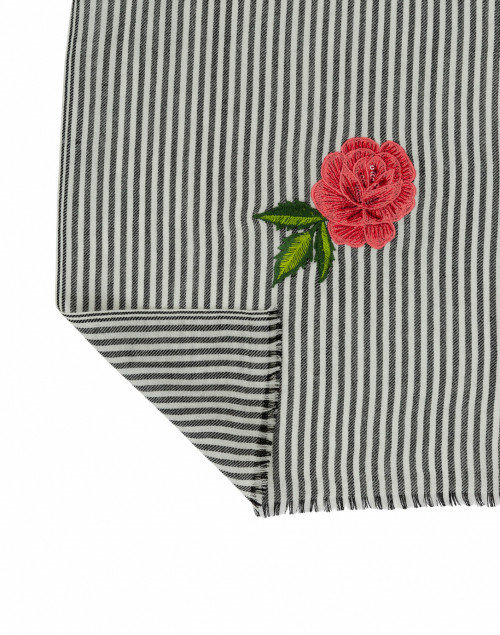 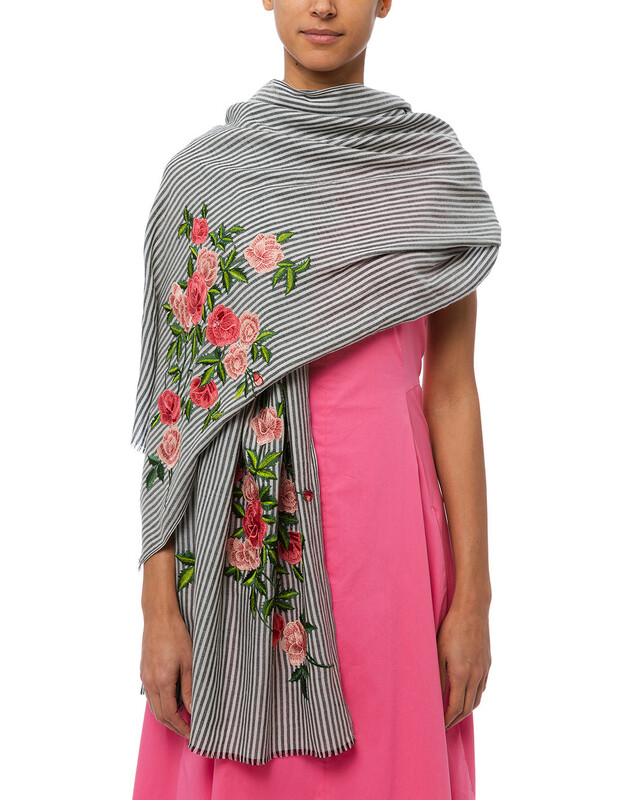 Janavi's striped grey and white shawl is crafted to a generous dimension – ideal for wrapping over the shoulders of evening looks. 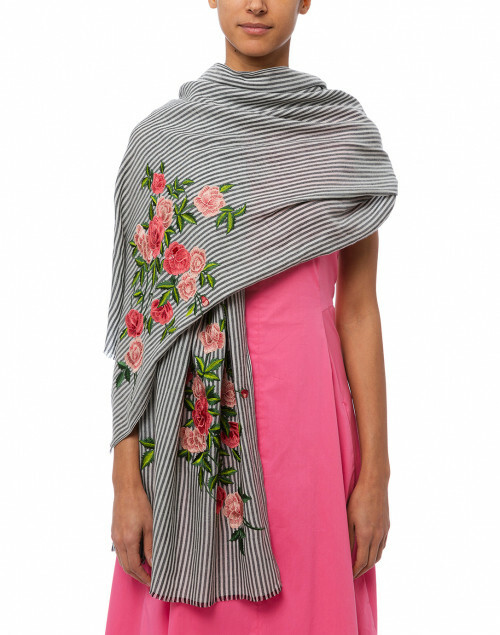 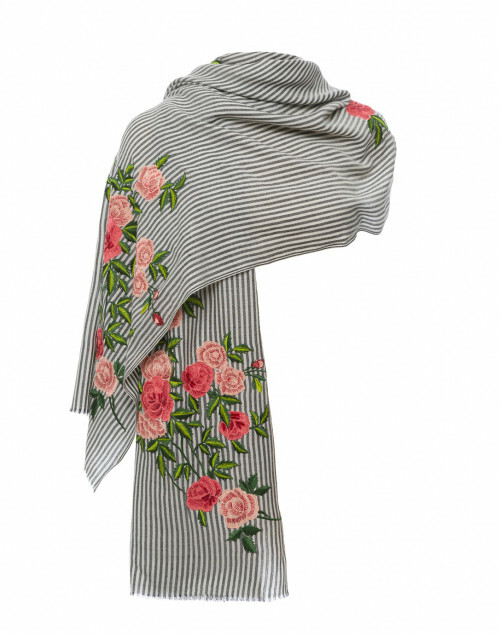 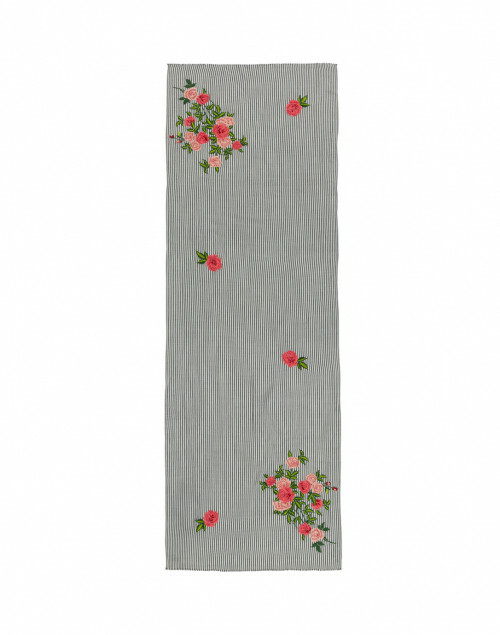 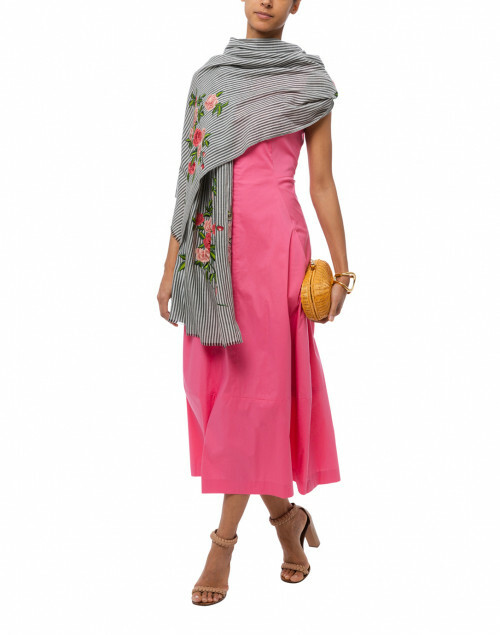 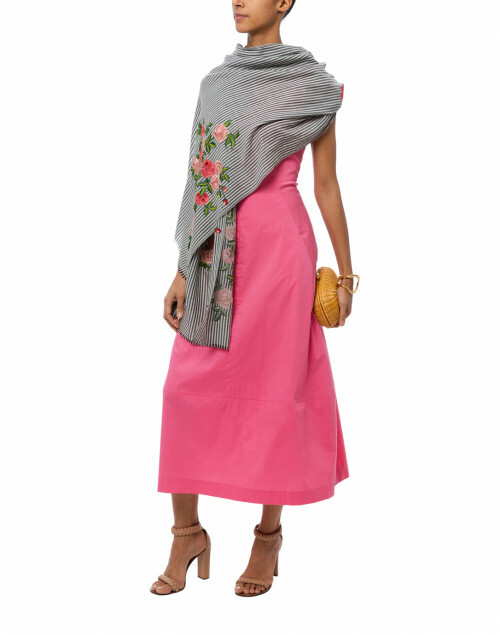 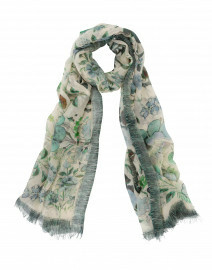 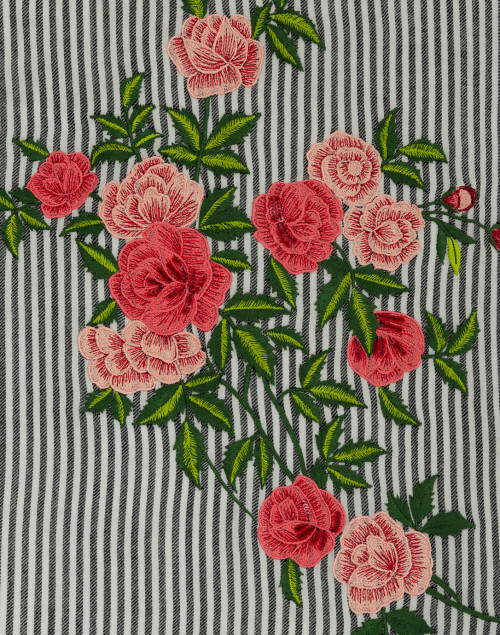 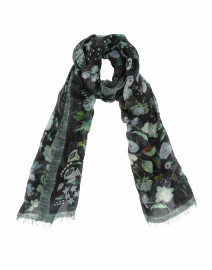 It's crafted in India from fine merino wool and patterned with painterly depictions of blooming roses. 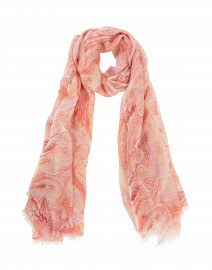 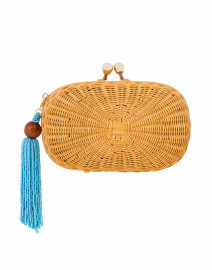 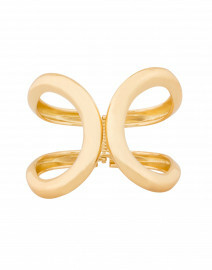 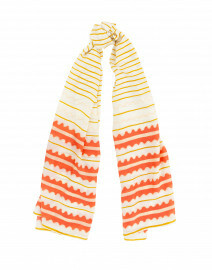 Wear it with a pink maxi dress for a gracefully feminine look.